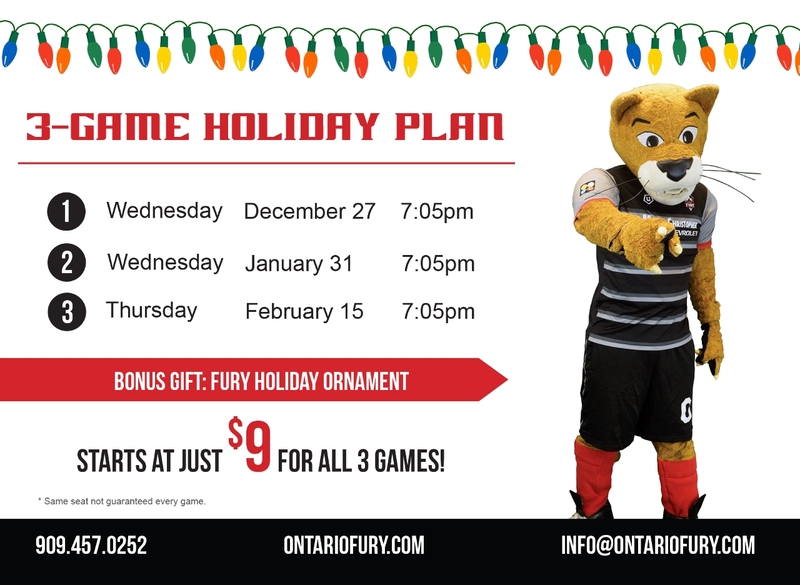 5 GAME MINI PLANS AND HOLIDAY PLANS NOW AVAILABLE! Thank you for submitting your ticket request form. 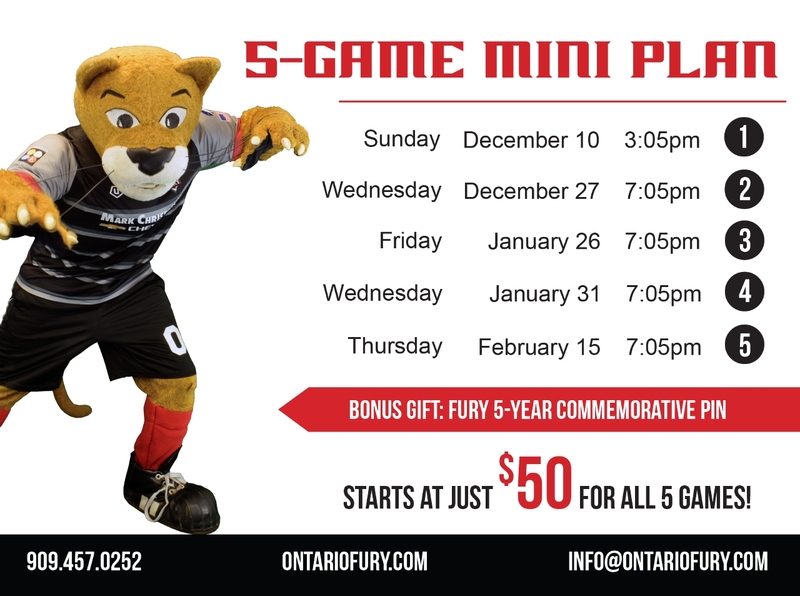 An Ontario Fury representative will contact you shortly, or you can reach us at (909) 457-0252 for more information.